The original girls from Teen Mom are back and their lives are more complicated than ever. Here are some highs and lows we can look forward to on the new season of the show. Catelynn and Tyler’s Instagram accounts might get them into hot water with Carly’s adoptive parents, who are not happy about their daughter’s face being plastered all over the web. Look for a very serious conversation to happen soon. The kids don’t always like having the cameras around. Look for tantrums and other forms of bad behavior brought on by the disruption filming causes in their little lives. Catelynn and Tyler continue to debate when they should tie the knot — would their wedding make a better season finale than Amber’s? 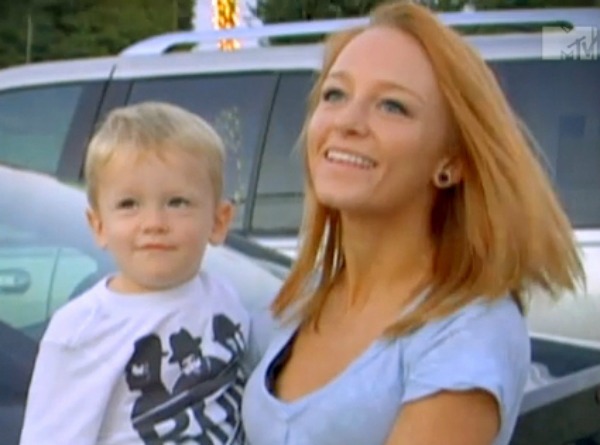 Maci desperately tries to convince Ryan to spend time with their son, but he is nearly impossible to contact. Farrah and Maci will have a huge blowout that could either clear the air or ruin the dynamic of the show forever. Amber Portwood is engaged to Matt Baier, and we could be seeing her wedding day featured on an upcoming episode.